Edited by leiah2 at 14:11, 06 Aug 2015. The vast majority of lizardfolk known to the factions of Ashan are a barbaric people, living crude, primitive lives far-removed from civilization in the depths of the jungles and darkest forests, worshipping strange reptilian gods, often falling into the company and sway of the forces of evil. However, not all of the lizardmen have sunk into tribal barbarism. 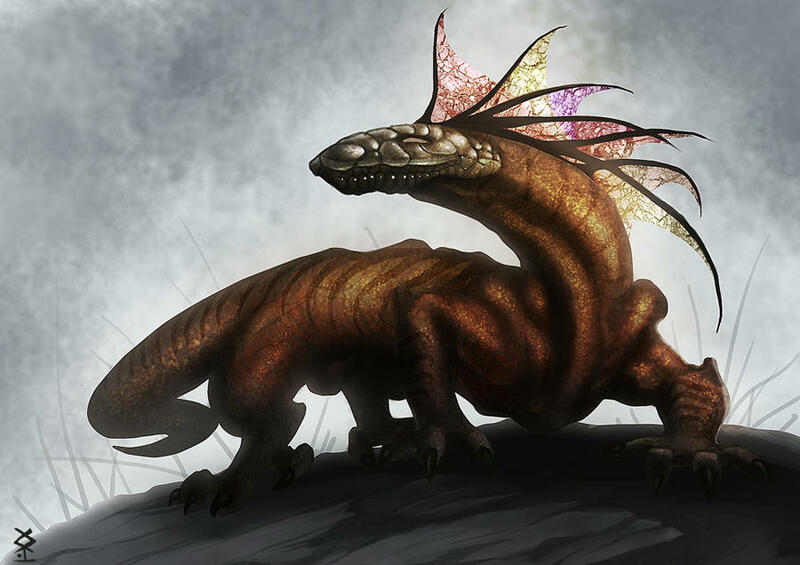 A closed of part of lizardfolk, however, instead of following the majority into barbarism and the worship of a variety of weaker gods and evil creatures instead chose to turn to the unexplored swamps to the north of Hashima a long time ago where they found the Coatl, worshipping them as their own Dragon gods. And with the help of these wise feathered serpents, these bands of lizardfolk gradually developed an advanced society � or maintained the society which they had, if rumors from the past are to be believed. With a gentler outlook on life and these civilized lizardfolk have recently begun to take the first steps out of their hidden swamp cities. One of these is that they have opened up relations with the rest of the developed world, and now seek to take their place in it as civilized equals. The Lizardmen, although civilized, have never possessed the tools necessary to construct great cities or fine weaponry and as such their cities consist mostly of huts and wooden buildings built upon the bioluminescent swamps of the Moors. The backbone of the armies of the Moors consist of the swift and sturdy Lizard Spearmen backed by their elusive allies of the Ancient forests of Teylind, Wisps and Soul Foxes. These beings of the forest aid the Lizardfolk in battle in exchange for the protection of their sacred home. The elite troops in the Moors army are suprisingly led by the once bitter enemies of the lizardmen, the merfolk. More specifically the females of their race are the ones who do the battling. Mermaids distract their enemies with beatiful song before crushing them with powerful water magic. With them they bring their trustful steeds the Hippokampoi who can plow through the heaviest dwarven infantry. They are followed by the top predators of the swamp and pets of the lizardmen, the Faerie Drakes. 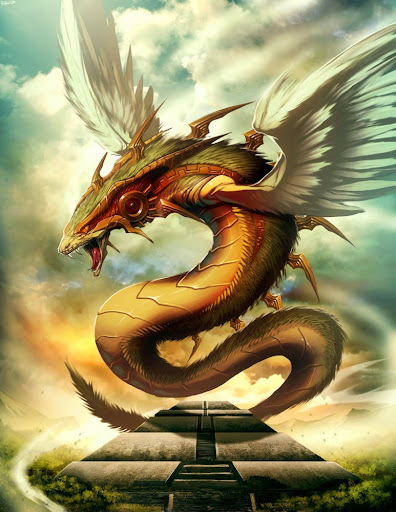 The uttermost power of these armies come from the terrifying Skrwnak lizards, enemies fleeing at the sheer rumour of them being in an enemy force, and the majestic Coatl and their powerful magic. When the Lizardfolk first arrived to the Moors they thought they had discovered the perfect sanctuary for their kin with the protection the swamp gave them from their old enemies, the demons, as well as the protection they were given from the mighty Coatl. But they soon uncovered the ancient beasts that hunted in the dark swamps and mysterious forests. At first these were of great problem to the lizardfolk but after decades of exploring the behavior of the creatures these cunny reptiles befriended and domesticated one after another of the species of the Moors. What Lizardfolk see as their greatest achievement is the fact that they managed to get the Basilisk and Skrwnak lizards on their side. As their civilaztion grew and they started building near the deep lakes of the Moors a new threat arose in the much more technologically and magically advanced Merfolk. When they had settled by the lakes the merfolk saw them as a threat and a bloody war raged for almost 80 years neither side gaining any significant advantage. So after peace was made relations have been growing better for several hundred years, and now they are basically one faction. 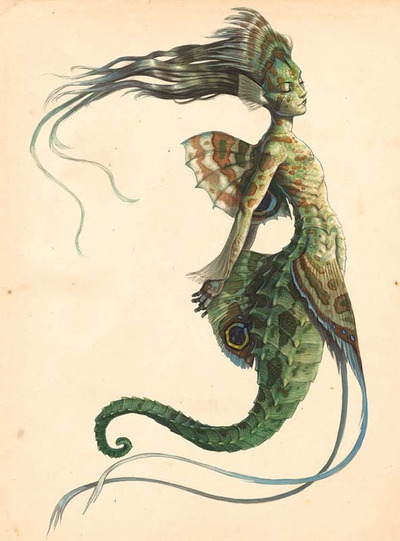 Merfolk live in cities and isolated settlements within deep lakes and the seas, where protection and food is abundant. They train aquatic animals to serve as their guardians, similar to the way humans train dogs and horses. 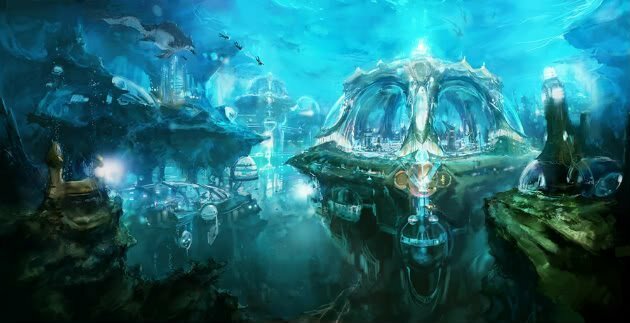 Merfolk cities are often very densely constructed compared to land based races for a number of reasons. Roads can be very narrow by terrestrial standards because merfolk are able to use three dimensions for their streets. Sometimes the upper floors of buildings are conjoined across the streets which turns the streets into tunnels. Some cities have been built up over time so that tunnels have completely replaced streets in many areas. Staellite is a silvery metal easily identifiable by its iridescent sheen which bends and splits light into different colors and also the main metal used for merfolk weapons. It is as strong as steel, equally tough, highly heat resistant, and highly corrosion resistant. It was developed over several centuries, and is now is a staple metal for merfolk equipment. Haven - Neutral. The Humans of the Empire have not had much interaction with the inhabitants of the Moors and they have been suspicious due to the looks of these creatures, een though they are highly intelligent and civilized they invoke some kind of fear in many humans. Though the merchants of these have started a small but fast growing and flourishing trade. Sylvan - Neutral but friendly, they respect each other due to both factions affinity to Nature. A significant part of the Lizardfolk worship Sylanna by the side of their own gods. 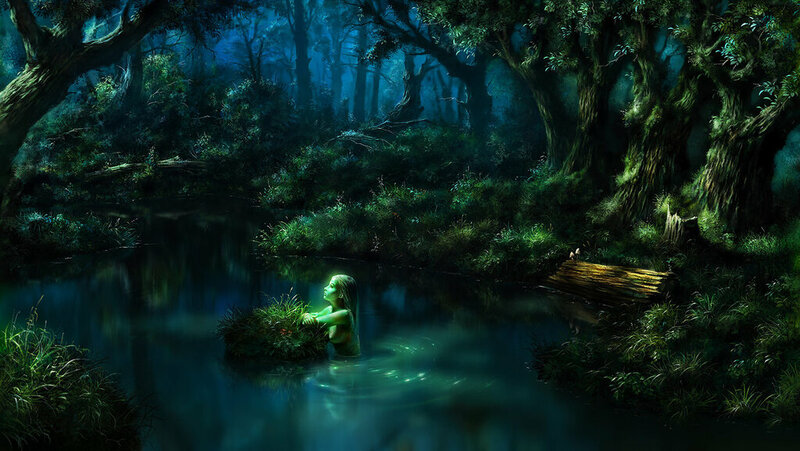 Shaman are spiritual guides and practitioners, not of the divine, but of the very elements. Unlike some other mystics, shaman commune with forces that are not strictly benevolent. The elements are chaotic, and left to their own devices, they rage against one another in unending primal fury. It is the call of the shaman to bring balance to this chaos. Spending all their time in the trees in otherwise uninhabited ares, these lizardfolk are as much wild as the unintelligent creatures around them. They have bonded with nature to the point that even their arcane magics come from nature itself, giving it a divine power. - Living - This creature can be healed and resurrected, and is subjective to morale. - Intangibility - Soul Foxes have the ability to slip partially between different dimensions enabling them to pass through physical objects on the map as well as passing through other units. 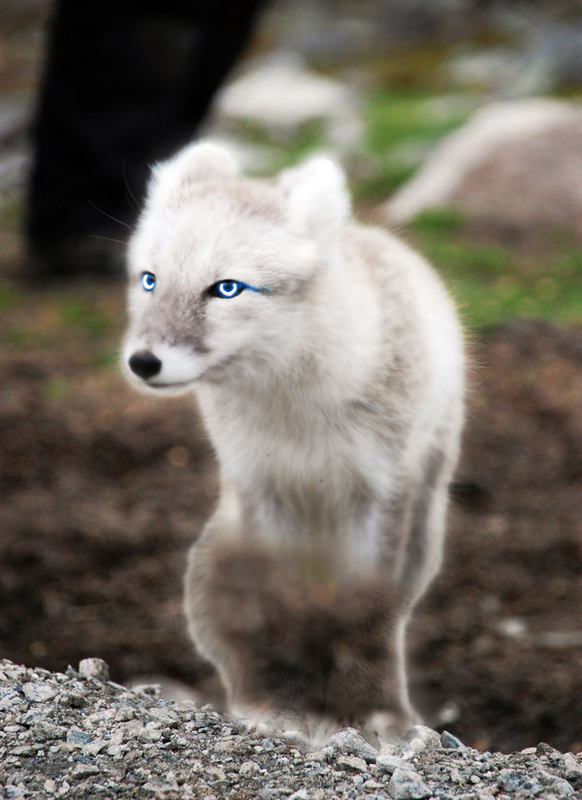 - Fear Inducement (upgrade only) - The ghostly and glowing appearance of Spirit Foxes is truly terrifying for most creatures, lowering nearby enemies morale. These Lizardfolk warriors carry long crude spears, tips made of the best metals available to the smiths at the time they were forged. Though they have not been able to produce such fine weaponry as Elves, Dwarves or Humans the brute strengths of the lizardfolk warriors alow them to thrust through the thickest of armors, and that is where the hidden weapon of the lizardmen is revealed, the tips are laced with paralyzing venom. - Poisoned Weaponry - Lizard Spearmen always dip their weapons in the blue and sticky venom of the Gadura Mushrooms which are plentiful in their forests. This venom paralyses the struck victim, preventing the opponent from retaliating and is unable to make a move for one turn. Lizard Spearman venom Chance 40%, Lizard Hoplite venom chance 65%. - Brandish Spear (upgrade only) - Swings the spear forward, dealing damage to all enemies in front of the Lizard Hoplites without retaliation. Active ability, 3 turn cooldown. Wisps are ancient spirits of nature that inhabit the swamplands of Moors. Legends say that Wisps are actually the disembodied spirits of deceased lizardmen, but these rumors have yet to be proven. 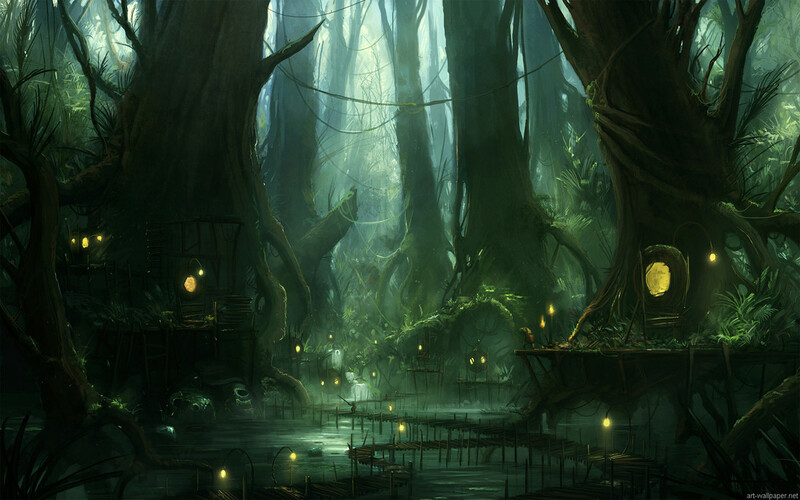 The luminous Wisps are spotted deep in forests, swamps, other desolate places and inside the cities of the Lizardmen. They appear as glowing orbs that move peacefully over the landscape. As the Lizardfolk has promised these gentle spirits defence of their homelands they now aid Lizardfolk in war and battle proving themselves useful allies due to their extraordinary abilities. - Elemental - This creature is not alive and cannot be affected by Poison-, Blind- or Mind-related magic. Nor can it be resurrected or healed with First Aid Tent. - Tether - Tethers the Wisps to an allied unit sharing their energy with the selected creature, granting bonus initiative to both and any buff or negative effect is shared. Any enemy unit that crosses the tether is slowed. The tether breaks when canceled by the Wisps, if one of the partners is killed or automatically after 4 turns. - False Promise - Temporarily alters an allied or hostile units destiny delaying any healing or damage taken until False Promise ends and also grants doubled damage. Any healing that is delayed by False Promise is doubled, at the same time any damage taken during False Promise is also doubled. Removes any negative status effects when applied. - Faerie Dust - If a creature is covered in Faerie Dust they take 150% damage from magical attacks. - No Melee Penalty (upgrade only) - Fey Drakes are more experienced then their lesser kin and has no penalty for damage inflicted during melee combat. As stunningly gorgeous as they are dangerous, merfolk live in loosely structured kingdoms deep in the dark lakes of the Moors. Merfolk differ widely in coloration, sharing the distinctive characteristics of fish of their region. Male merfolk, known as mermen, are rare and solitary creatures except during the mating season. They can easily be distinguished from the mermaids by their larger size. While they sometimes ally themselves with the naga, more often they are the proud allies of the lizardmen of Moors. Their control over the water and even the tides of Ashan is unparalleled. Merfolk are also capable of magic, like their beatiful song. Even when they talk, their words sound like music. When a mermaid does sing, her voice has the power to hypnotise anything or anyone. - Water Magic Imumnity - This Creature is immune to any kind of hostile Water based Magic. - Vulnerability to Air - All Air damage is increased on sea creatures by 25%. - Soothing Waters - The Mermaid heals chosen creature with pwerful water magic. Costs mana. - Siren Song (upgrade only) - The beautiful and powerful song of the Sirens have the ability to hypnotise enemy creatures to follow their every command forcing them to attack each other. Every enemy in a radius around the Sirens are forced to attack their nearest ally this turn, if there is only one enemy unit in the area, it will be forced to skip a turn. - Stampede - Due to their heavy weight and outstanding speed Sea steeds are able to plow right through enemy lines as long as they are far enough away that they can gain the needed speed and momentum. If the Sea steeds are four or more tiles away from the closest enemy they can charge through their ranks, knocking back and damaging enemies hit. Basilisks are heavily-armored, four-legged lizards which are related to the long extinct giant Keyiolan lizards. Basilisk stomachs are capable of dissolving nearly anything. Because of this, basilisks have a fondness for eating crystals and rocks from the area they inhabit, though, they have a certain fondness for human meat as well. This not only makes their hides extremely hard, but gives them a unique power. They're best known for their ability to petrify a person with their stare, sometimes it's even fatal. Due to this, basilisk parts are often sought by mages and alchemists for study. These powerful, enchanted creatures are something of an anomaly throughout the land of Ashan. - Deadly Stare - The stare of the Basilisks have the chance petrify an enemy, attacking it or being attacked by the basilisk. 50% chance. If the target is petrified there is a 10% Chance that half of the enemy stack is instantly killed. Coatl are large flying magical beasts with serpentine and birdlike features used by the Lizardmen for aerial support and often supremacy. Coatl are rare creatures of great strength. Coatl are distinguished from their smaller cousins, the Wyverns by their immense size (nearly twice the length of a normal Wyvern) and the brilliant display of bright red, purple and green plumage across their heads and backs. Their long, feathered tails serve to further distinguish them from Wyverns. Lastly, their wings are much greater and bear more feathers. Coatl nest in trees and crags dotting the coasts of the Moors. Some are venomous, though all are highly proficient in magic. Coatl disrupt harmful magic around them, which makes some people think that they have an understanding or intelligence of it. This idea is correct, even somewhat of an understatement, Coatl are extremely sentient magical beasts. - Deflect Magic - Coatl have the ability to deflect harmful magic cast on them, instead sending it towards a random hostile unit. 50% Chance. Shouldn't the paralysing venom from the description somehow be translated into an ability? Can you make a faction including these units? Join the Finding Harmony competition 2.0! Yes, of course it will be! ^_^ Just have not been able to finish the abilities of most of the creatures since I've been kind of bussy with the Holidays and all so I've only been able to make quick changes to the faction so far . One thing I'm worried about is that the ability for the upgraded Spirit Foxes (ugh such a dumb name xD) might be too powerful . On another note, I took a look at your faction Steyn and it's looking awesome! Also, Merry Christmas to you all! Thanks. Your faction looks very nice too. I especially like that you have only two humanoids without your faction feeling like a bunch of beasts thrown together. It has a really nice magical feeling that distinguishes it from other swamp factions. I don't think the terror ability of your Spirit Fox (what's wrong with that name?) is too powerful. Of course it depends on the way morale is implemented. With a morale system like in H3 it could be a bit powerful, but as it only affects nearby enemies I guess it would not be too OP. Edited by blizzardboy at 00:38, 25 Dec 2014. I like the intro picture. Makes me want to go on a vacation there. Hang out with some friends on the dock. Go fishing and bring in a huge haul of turtles. Go rowboating & exploring. Catch malaria. Etc. @Steyn: Thanks! I have not actually written it yet though this faction is kind of an alliance between the cities of the Lizardfolk, the underwater kingdoms of the Merfolk and the Spirit beings of the Magic Forests. Mermaids and Hippokampoi from one side, Lizardmen and their creatures the Fey Drakes, Basilisks and Coatl from one side and Wisps and Foxes as the last faction. I'm going to explain this more in the Faction description later on but I don't want to hurry since we have quite a long while to finish the Factions ^-^ And thanks for the feedback on the Foxes! Also, to anyone who reads about the faction, I'd love to hear any feedback or criticism you have about the faction, and remember that all the abilities for the creatures are not complete and finalized at all. Edited by Galaad at 12:15, 26 Dec 2014. An intriguing approach, that feels a bit (but not far) away from the typical lizardman-swamp faction. One issue I have now is that merfolk and Sea Steed are quite similar in looks. Also, the false promise ability...is it truly meant only for allies? 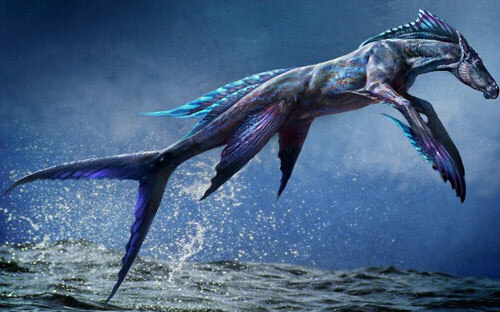 Well about Mermaids and Hippokampoi, I'm not going to exchange one of the creatures snce I need atleast two creatures from that realm bbut I can see your point, I might need to find a new look for the Sea Steeds. And false promise, I don't really know, I'm thinking that that might be too much of an advantage of this faction since they already have many powerful active abilities. I liked the ones you'Ve edited, but you seem to have returned to the old style already?